For the last several months, SensioLabs has been very invested in the digital ecosystem and especially in the activities of the Open Source community. Here’s what happened over the last 3 months! First, let’s delve into our Systematic adventure. Systematic is a main “competitiveness cluster” in the Paris region and specializes in ICT. Their main goal is to connect digital and industrial software players with researchers to simplify access to national and European financing. SensioLabs’ dossier received “honors” from the jury and we’re looking forward to a year ahead full of ambitious partnerships and projects! Secondly, we were a silver sponsor of the Paris Open Source Summit, the biggest OS event in France. Grégory Pascal, SensioLabs’ COO, participated in a round-table devoted to international development and in a workshop by the Conseil National du Numérique (National Digital Council) devoted to digital transformations in the French educational system. What followed next was quite unexpected, but incredibly rewarding: thanks to a recommendation by Systematic, we received the Paris Open Source Summit’s Company of the Year award in the Free category! Thirdly, here’s what happened with France Digitale, a major French NGO, uniting entrepreneurs and investors to promote the digital economy in France. Not only is SensioLabs a member, but we are a privileged partner, and, as a result of our involvement, Grégory Pascal is now a member of the France Digitale Advisory Board! 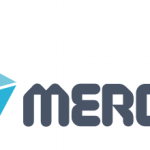 Moreover, we’re on board for the project France Numérique 2017 (Digital France 2017) run jointly by France Digitale, Systematic and other professional federations such as Syntec Numérique and Tech In France (ex AFDEL). Our goal, and it’s ambitious, is to place digital advancement at the heart of the May 2017 presidential elections. Together, we hope to increase the French presidential candidates’ awareness of the economic and social importance of our sector of activity for France and suggest issues for their political programs. Lastly, SensioLabs is proud to be included in the series of reports #HistoiresdeFrance, launched by the French government to promote success stories of French enterprises. 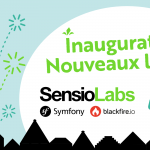 Have a look at the Stories of France video (subtitled in English) which presents the story of SensioLabs and the creation of Symphony. 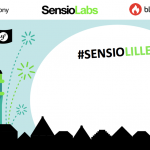 Gregory Pascal and Fabien Potencier, co-founders of SensioLabs, tell the tale of the origin of the company and the framework from our offices in Clichy. Should you like to know more about digital news in France, we suggest reading Gregory Pascal’s forums. Over the last several months, he’s been writing about his vision for everything digital in France, for example: France: the lesser-known nation of Innovation, and much more (most of them in French) published mainly in the Echos, the Tribune and We Tomorrow. Meanwhile, stay tuned by following @sensiolabs and @sensiogreg!